According to the California College of Ayurveda, "Pranayama, the yogic art of breathing, comes from the Sanskrit root words prana and ayama. Prana means “life force” and ayama means “expansion, manifestation, or prolongation.” The practice of pranayama, therefore, is the practice of expanding our own prana so that it harmonizes with the universal prana." 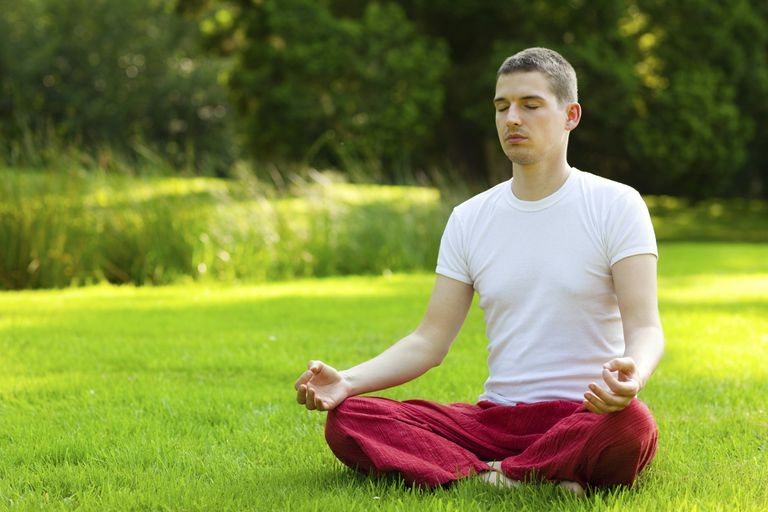 There are many forms of pranayama, including single nostril breathing, lion's breath, and breath of fire. Some of these techniques are quite advanced. Sama vritti, however, is a straightforward practice that anyone can learn. It focuses on the idea of "equal" breaths, meaning that inhalation lasts for the same amount of time as exhalation. Yoga has been studied from a medical perspective for many years. Studies find that breath-related yoga practices can calm your autonomic nervous system, naturally reducing stress hormones in the body. It also helps focus your mind and can be used in meditation practice. Some studies suggest that yogic breathing exercises affect the hypothalamic–pituitary–adrenal axis (HPA axis or HTPA axis). The HPA access is a term that describes a set of interactions that occur among three difference endocrine glands: the hypothalamus, the adrenal, and the pituitary. Together, the glands constituting the HPA access regulate digestion, the immune system, sexuality, emotions, and mood. "By reducing perceived stress and anxiety, yoga appears to modulate stress response systems. This, in turn, decreases physiological arousal e.g., reducing the heart rate, lowering blood pressure, and easing respiration. There is also evidence that yoga practices help increase heart rate variability, an indicator of the body's ability to respond to stress more flexibly." Sama vritti is one of the most basic forms of pranayama. Even kids can learn how to do a practice like sama vritti, which can be done almost anywhere and reduces stress and anxiety quite quickly. Learn this pranayama and then add it to your arsenal of calming techniques. Come to sit in a comfortable, cross-legged position such as easy pose, placing padding under your seat as necessary. If sitting on the floor isn't possible, lie on your back or sit in a chair. Close your eyes and begin to notice your natural breath, not changing anything at first. Give yourself a good five breaths or so. Begin to slowly count to four as you inhale. Take a moment at the top of your inhalation with the lungs full of air. Then also count to four as you exhale. Again take a moment to feel empty. Then inhale again to another count of four. Continue this pattern. The exercise is to match the lengths of your inhales and exhales. You may experiment with changing the number you count too; just make sure your inhalation and exhalation are the same lengths. Continue breathing this way for several minutes. Halpern, Marc. Pranayama, yoga, and ayurveda. California College of Ayurveda. Web. 2016. Sengupta, Pallav. Health impacts of yoga and pranayama: a state-of-the-art review.” International Journal of Preventive Medicine 3.7 (2012): 444–458. Print.